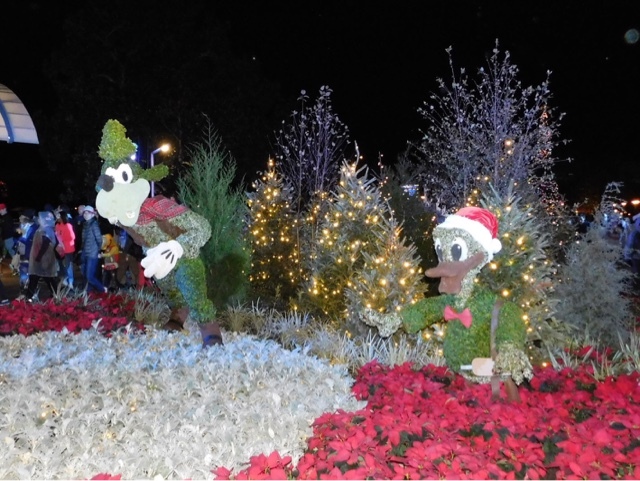 During special events and holiday seasons, topiariies pop up around Epcot. This year, there are winter versions of Donald and Goofy in the area leading from Future World to World Showcase. I took this shot last Friday night, shortly after enjoying Illuminations.